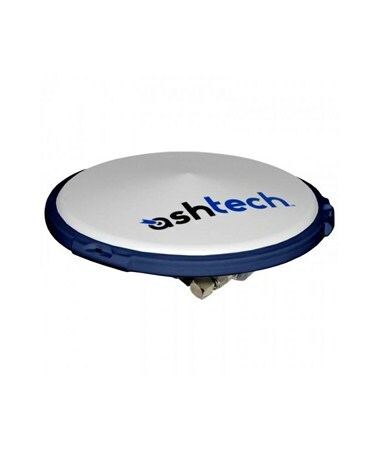 The Ashtech ASH-661 from Spectra is an external GNSS antenna able to track L1, L2, L5 frequencies. With a polymer finish, this lightweight antenna weighs only a little over 1 pound and uses GLONASS, GALILEO and GPS satellites for extreme GNSS accuracy. This external antenna is compatible with Spectra GPS devices such as the ProMark 100/120 and ProMark 200/220, as well as the ProFlex 800 GNSS receiver.